Mr Misra taught English in various colleges in Odisha from 1966 until he joined the Sri Sathya Sai Higher Secondary School at Prasanthi Nilayam as an English teacher in 1980. He retired from the school in 2000, but till date he has been sharing the same responsibility with diligence. He has translated into Odia many books of Swami, many of his dramas have been presented before Bhagawan by the school boys, and the Odisha youth. He has also published a book of poems in English on Swami’s impact on his life. We have published a number of his articles in these columns too. He has been an insightful writer. As we gear up to fill ourselves with gaiety celebrating the advent of the Charming Lad of Brindavan, Mr Misra ruminates on the life of one of the greatest devotees the world has even seen, Mother Meera, and unravels precious and powerful learnings which when contemplated upon can raise our equation with the Divine to subliminal heights. We sometimes fancy that it would please God to hear that we consider Him our own. But in fact we say so to please ourselves. We believe God is a VVIP, and it would immensely benefit us if we are close to Him. We would like God to be our own like several other things we call our own - our property, position, ambition, our family, and many such add-ons. Since God is like a father, mother, friend, etc. God should have no difficulty in sharing space with them! Then we think since He becomes a kind of family head it becomes His responsibility to ensure the safety of our add-ons, for He has promised that He would take care of us. So to remind God of His special duty towards us, we offer Him special aradhana, celebrate birthdays of Avatars, and do some daily rituals. This, we hope, would put us in a special category in the book of God, ‘those who love God’, mere to giridhara gopal. Since you call Him your own, you want Him to reciprocate. 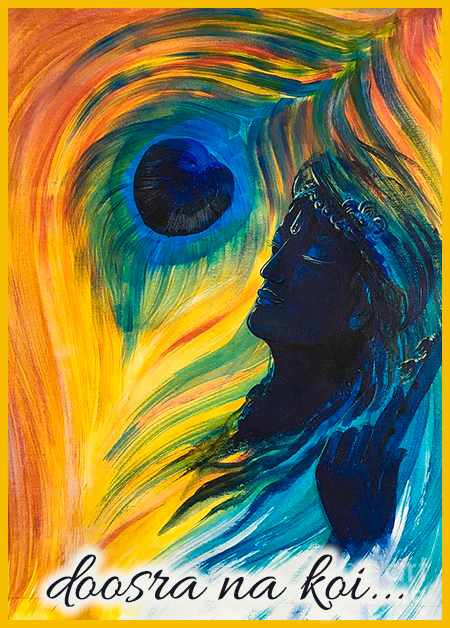 He will have to forgive your sins; in fact it has been said in Sanskrit, the sacrosanct language of the gods, that you cannot commit as many sins as God can forgive, and it is quite an encouraging statement to remember. Then there are a lot of prescribed responsibilities once you designate God as your own, such as, He must always rate your good over others; He must run a prediction office for you; He must have a special protection force to take over in case of emergencies; He should plan your future, the births and deaths in the family in consultation with you … He has quite a bundle of them when you say mere to giridhara gopal. Being God, He has a multilevel ministry of ‘happiness’. And being yours, He is in charge of a big network that imports important components of happiness. If there is a new position available promising better happiness, God must canvass it for you, He cannot plead helplessness. If a tough test is ahead, and you need to qualify with a high placement, but you have other engagements and can’t really spare that much time for preparing yourself, never mind, with a little extra persuasion, and He is forever easy to please besides the fact that He is yours, He can always manage it for you. If a profitable tender is floated, His office must pull all the strings so that it falls into your cup, and if you happen to breach some legality, and you are in for a backlash, God can still perform a bit of miracle, which is quite easy for Him, in which your role in it shall be overshadowed, and you emerge clean and safe. All this because you said, mere to giridhara gopal. She has just pulled the carpet away from under your feet! How can you ever say such a terrible thing, nothing else, no one else is mine! God is the biggest freeware source, and if you don’t need any add-on, then what do you need God for? The more unfortunate thing is that the Rajasthan princess convinced God that the second line is a qualifier for the first, and you are lost. God is a jealous God, the Old Testament saint said. And God also currently agreed that He will not play musical chair with your add-ons, He wants a single chair, reserved only for Him. He is very clear about that, no sharing of rights and privileges. If you call Him your own, He will respond: “You are My property, Mine only”. Absolute Monarchy. You have to pledge, doosra na koi. A very special invitee demands a very special chair. Now you confront an unprecedented situation. You have got into a soup. You thought God is a wonderful prop to climb into name, fame, wealth, security, and happiness; happiness at all levels, here and hereafter, Iha and Para. There couldn’t be a better insurance, and premium is astonishingly low, just say mere to giridhara gopal. But the Princess added a fanciful condition! It is not that she was disgusted with them all for they gave no respect to her, or took away her royal inheritance, or spread libel about her, which they did, and therefore left them; she found no use for them, kya karega koi, what are they for? She needed no add-ons, no assurances, and no promises. In fact nothing else existed for her except jake shir mora mukuta, the One who wears a peacock feather. Now you see your world is turning like a gyre! Mere to Giridhar Gopal has got you no dividends, and doosra na koi is not safe either. The moment you look the ego-centre in the eye, you insult its unchallenged authority; do you think it will spare you? The Princes was not spared, she was sent snakes as gift, thrown out of the palace, the media called her dirty names, her husband was maimed, brother turned an enemy, and finally she was forced to drink poison. The three zeros. Slander, poverty, death, all three encircled her. Look at her audacity, she still said, doosra na koi! The single chair occupant, the jealous God, responded: “You are My property”. And, my friend, He won’t say - Your property too is Mine; your bank balance, your position, your house, cars, name and fame, all are safe in My hands. He would rather say, if you say I am Yours, then all I have is yours, the reverse however is not valid. Properties are not proper ties. I understand your problem. Why should it be so? You have put so much effort in building up the world around you. Why should God grumble if you need a little help from Him in its protection? You know what, once you are a VIP, you are sold to your own security staff. You cannot even visit the toilet without their supervision! But you still want to be a VIP, don’t you? Why? When you tell God, mere to giridhara gopal, you become a VIP, and you have to concede to Him your full security. The security men will smile at you and reply, ‘Sir, as long as we are in charge, you enjoy the highest freedom available’, and you suddenly realise that is true. To be able to enjoy freedom, you must be secure from the forces that threaten it. One night you had a dream that there is an explosion somewhere, and your world was crashing around you. Your people were all around you, but no one would risk their lives for you. You sat up on bed and cried out mere to giridhara gopla, but no one appeared. Then you added loudly, doosra na koi. Suddenly all your security staff appeared from nowhere, and covered you. You felt so much relieved, you went back to sleep with the lines in your lips. Do you remember what happened to the Princess of Rajasthan? She roamed all over half the country, living under trees, in temples, and deserts - strange places, most outrageous for a princess. Tired of walking miles, hungry, beaten by weather, encountering suspicious eyes, but never lonely. Doosra na koi. And she had her peacock feather walking with her, sleeping with her under trees, in wayside temples, deserted inns, starving with her, forever listening to her songs. Tansen and Akbar came to listen to her, Tulsidas, Haridas adored her, but she sang for no one else, Doosra na koi. Nothing and no one in the world belonged to her. She belonged only to the One who had taken away whatever, whoever had a claim on her as their own so that He could reclaim her. All her identities were destroyed. She forgot even her body, as the body too became a doosra. There were no more two - just she and her peacock feather. Denying the doosra all her life, the second line merged in the first. The legend says she just melted into her Peacock Feather. Only when you forget yourself, I remember you. 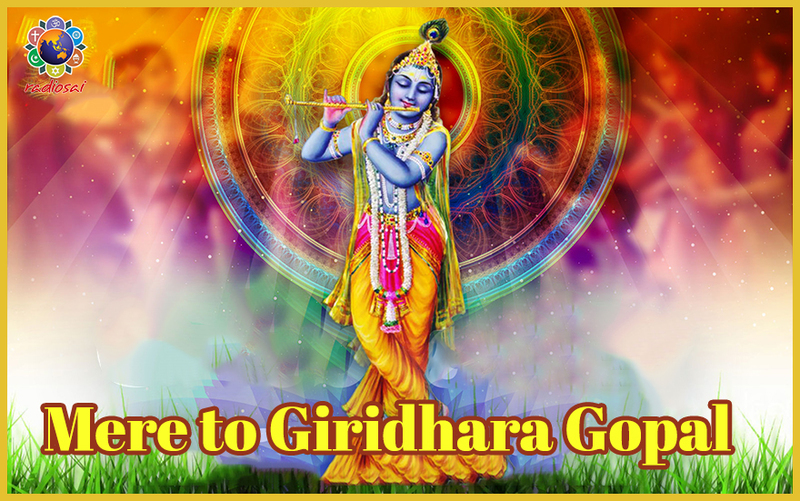 Mere was gone, doosra was gone, the world was gone, add-ons disappeared, only remained Giridhara Gopal. The solution is the dissolution. 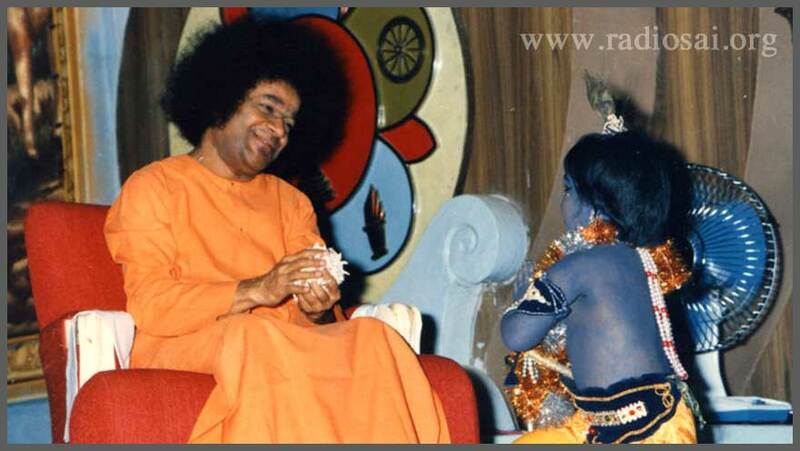 Swami made a difference between the Yadavas and the Gopis. Yadavas always said, Krishna is ours. Gopis also said the same thing, Krishna is ours. Yadavas however did not chant the second line, Doosra no koi, nothing else is ours. So they expected Krishna to protect their wealth, their name, fame, their fancies, and their conceits. He was one of their other possessions, charged with guarding them. That destroyed them. 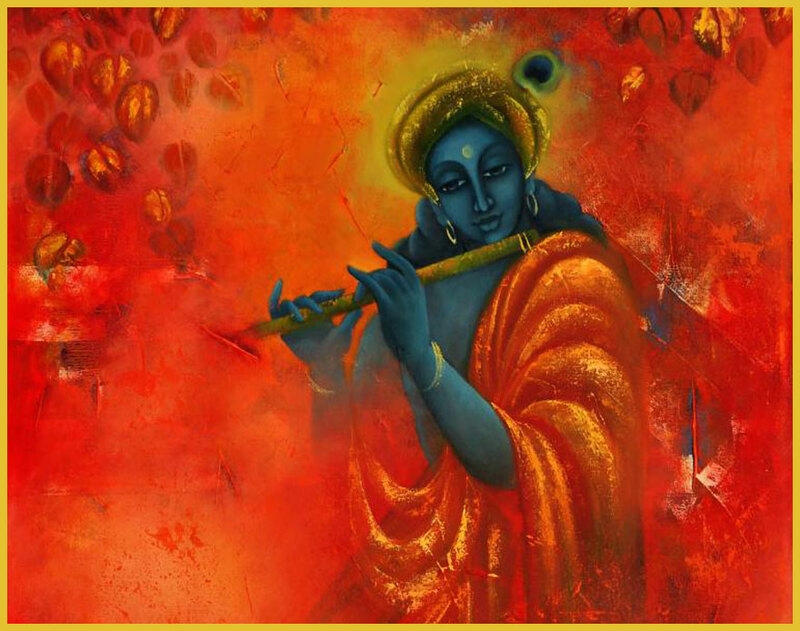 But Gopis always chanted the second line: except Krishna, nothing else is ours. So they arrived at the stage where they could say, we belong to Krishna. The differences vanished, the world receded from their exalted lives, and they became one with the lord. What do you say my friend? Can you separate the two lines and accept only one? Mere to giridhara gopal must pass through mein to Hari charanan ki dasi, I am only a servant of my Master, and a servant is known by the Master’s identity. My good friend, shall you consider a suggestion: don’t ever say mere to giridhara gopal, then you need not remember doosra na koi. But if you fancy the first line, add the second line in a hurry.